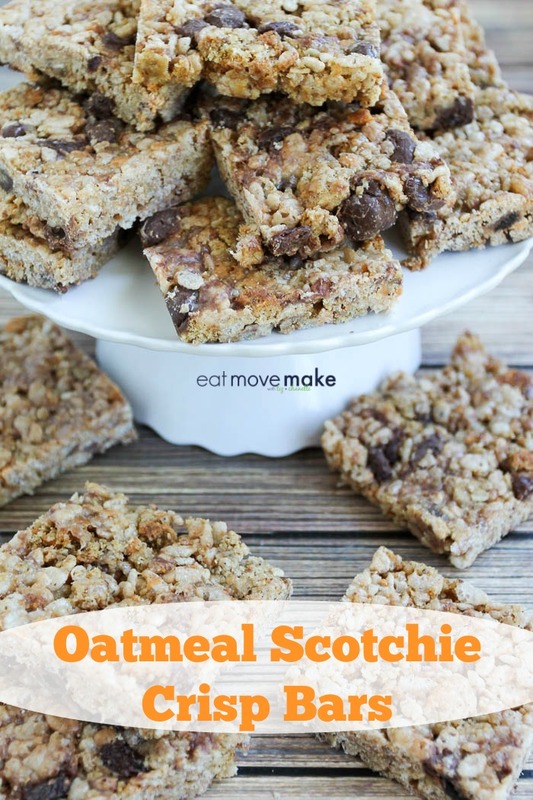 For a twist on the standard oatmeal cookie, try these oatmeal scotchie crisp bars! 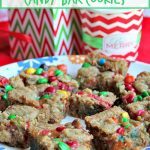 Playing around with cookie mixes is one of my favorite parts about working with Krusteaz, and my latest cookie creation is one of my new favorite treats. 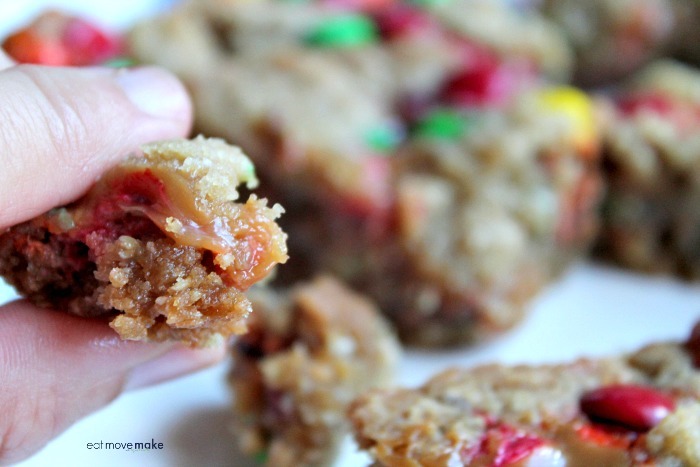 The recipe deliciousness starts with a box of Krusteaz Oatmeal Scotchie Cookie Mix. 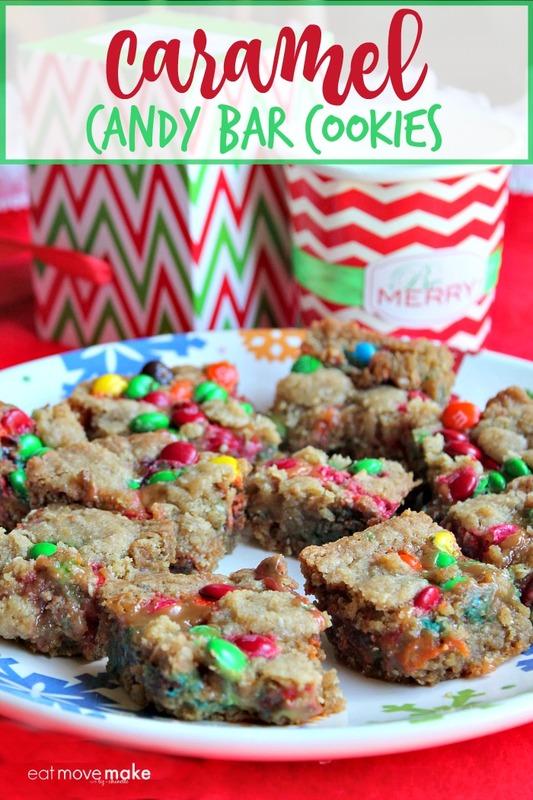 You’ll bake the cookies as directed on the box, but you’re going to have to resist them when they come out of the oven. You need them for the recipe. Well, maybe you can have one. But just one! 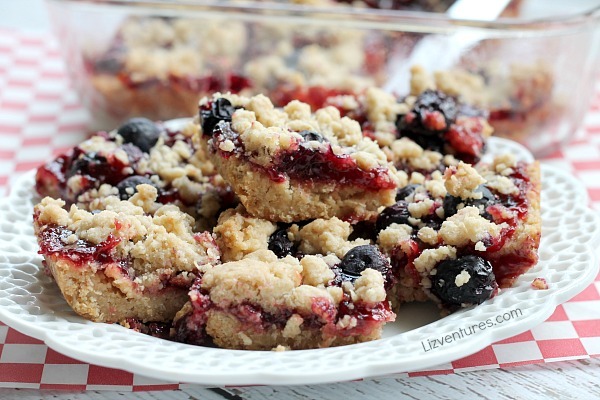 You have to crumble the rest. I know, I know… it rips a tiny piece of your heart up to do it, but trust me. It’ll all work out in the end. 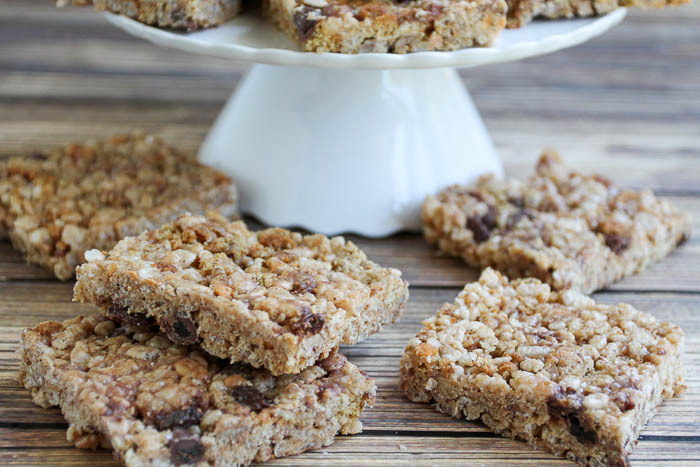 Combine the cookie crumbles with some melted marshmallow, butter, crisped rice and chocolate covered raisins and folks, you’ve got a cookie sensation you’ll never forget! 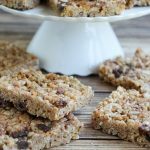 If you have any bake sales or cookie swaps coming up, oatmeal scotchie crisp bars make perfect bake sale treats. 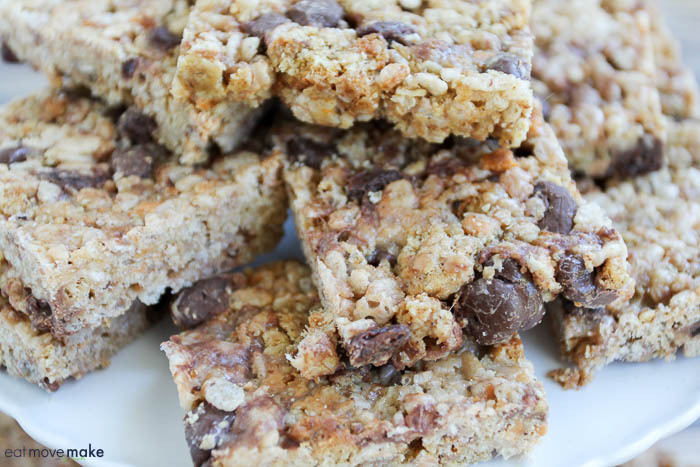 Get the entire list of ingredients and how-to’s on the Krusteaz recipe website! 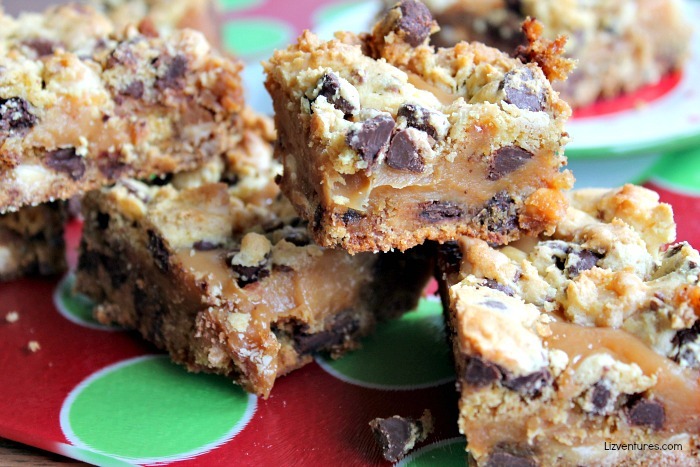 These chewy chocolate caramel bars are sinful, I’m not gonna lie. 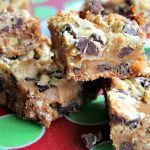 Chocolate chips, white chocolate chips, toffee bits and caramel are all baked together into a chewy, cakey cookie bar. So they’re rich. And decadent. And downright naughty. 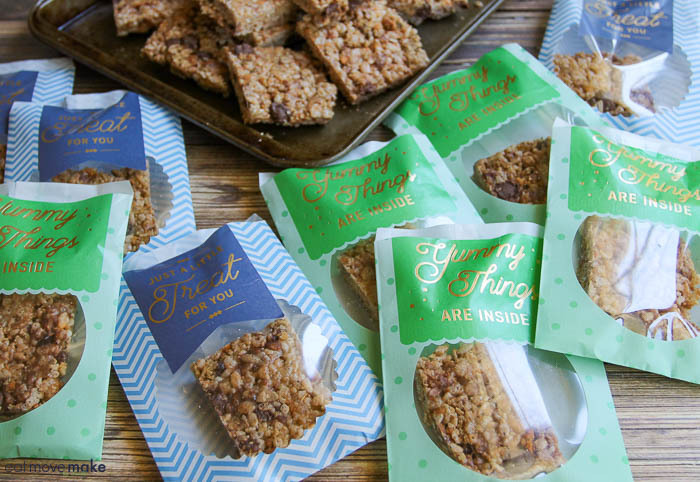 When the bars are cooled and ready for eating, cut them into small squares to serve. Heat oven to 350 degrees. Grease 13"x9"x2" pan. In mixing bowl, beat together cake mix, oil and egg. 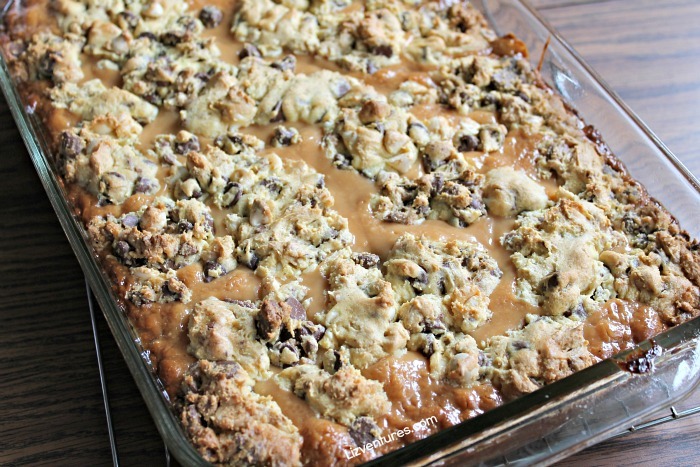 Stir in chocolate chips, white chocolate chips and toffee bits. Press half of batter into baking pan. Bake 10 minutes. Remove from oven. While crust is baking, melt butter, caramels and condensed milk over med-low heat until caramels have melted and mixture is smooth. 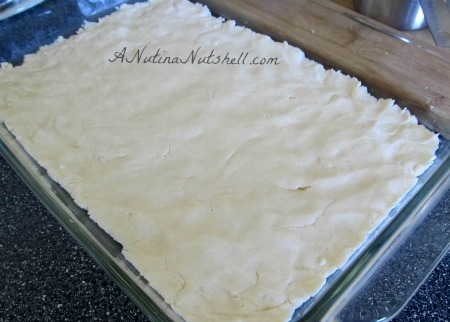 Pour slowly and spread evenly over crust. Drop remaining batter in spoonfuls over the top. Return to oven. Bake 25-30 minutes or until top is set and edges are golden brown. Cool 20 minutes. Loosen edges from pan and continue to let cool for 40 minutes. Refrigerate 1 hour. Cut into small squares to serve. 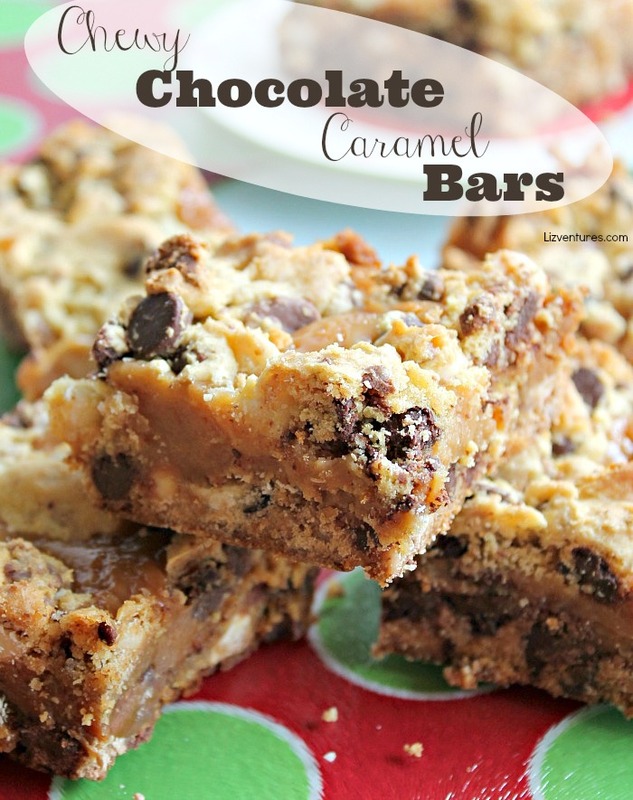 I was inspired to make these chewy chocolate caramel bars because I recently interviewed Sarah (Nurse Loves Farmer) whom I met as part of the Best Food Facts #Taste15 campaign. She and her husband grow wheat, yellow peas and both GMO and non-GMO canola on their Canadian farm, so I made these chocolate caramel bars with canola oil to pay homage to all they do. 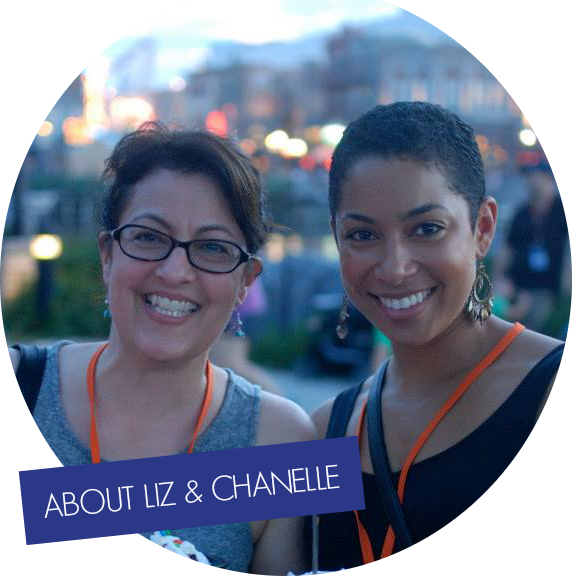 Through Taste ’15, we had the opportunity to connect with food experts across the country – nutritionists, researchers, producers, retailers and farmers, and we learned a ton, but I did have a few questions I wanted to ask Sarah after we returned from our most recent trip to Chicago where we visited Spirit Farms. 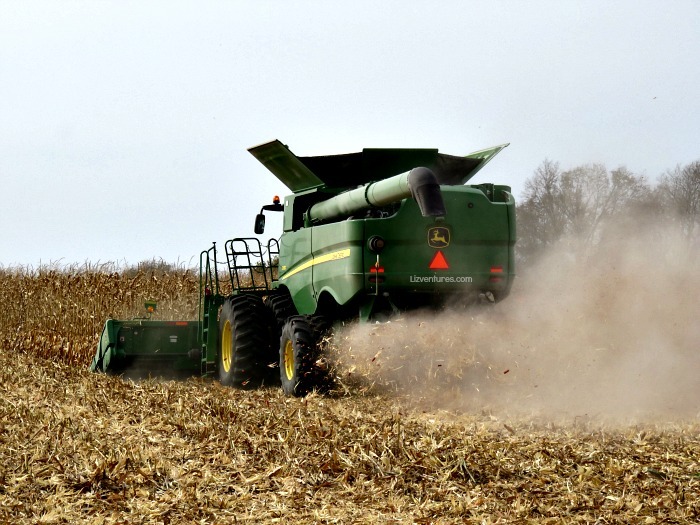 We had the chance to watch the combines harvesting field corn, so I asked her what percentage of crops on her farm is typically missed by combines, and I was shocked to hear that it’s only about 1%! 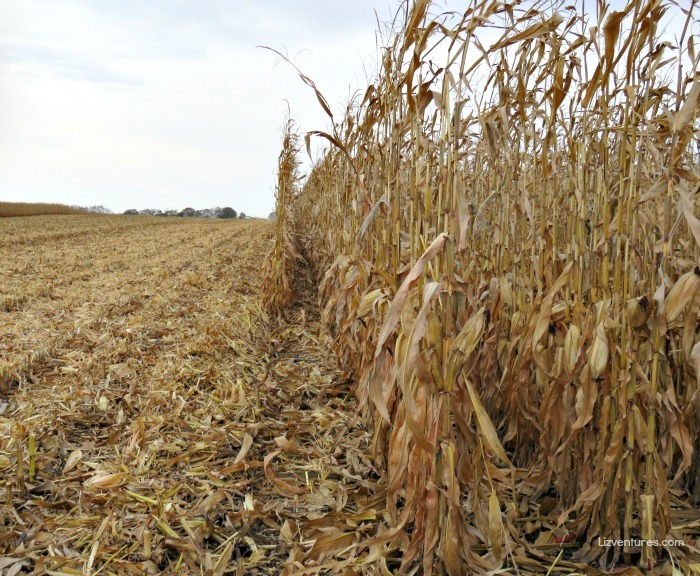 I also asked her what the ideal field crop rotation is, and her husband was kind enough to answer that for us. 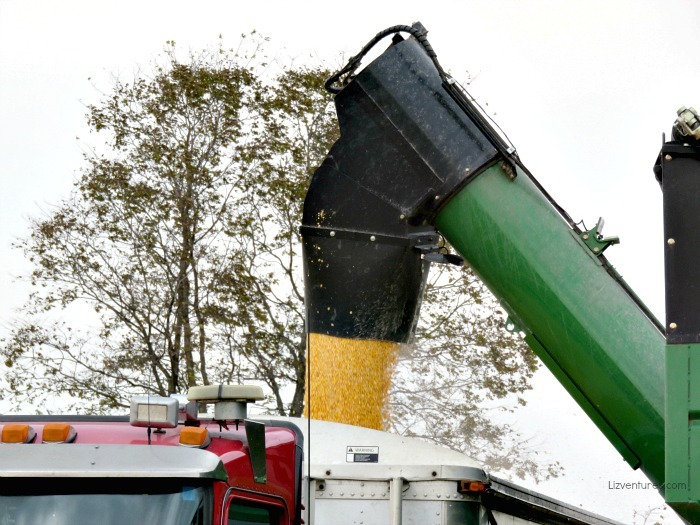 Sarah also told me that the reason they grow both GMO and non-GMO canola has nothing to do with consumer requests or pressure; it just makes for good herbicide rotation on their crops. 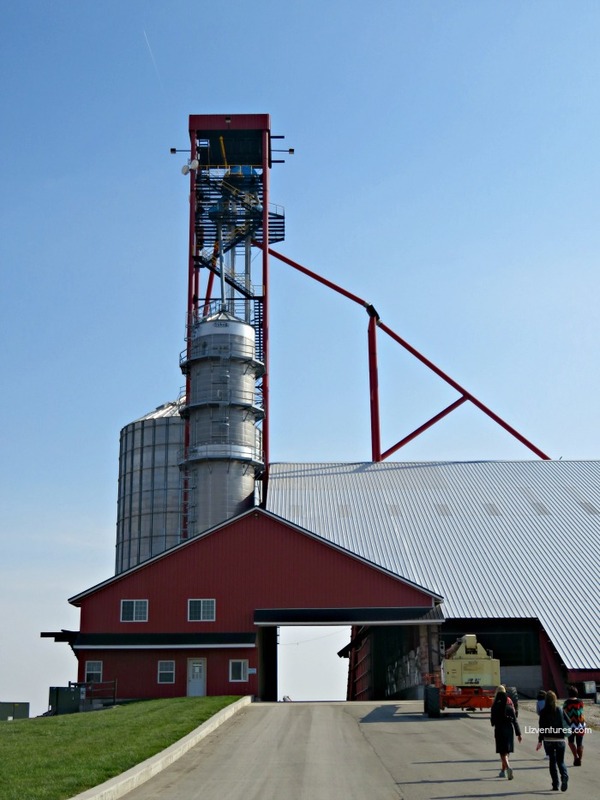 A big thank you to Sarah for answering my questions and sharing a little bit about her family farm, and a big thank you to Best Food Facts for allowing me to see, hear, smell, touch, taste and experience food from farm to table. 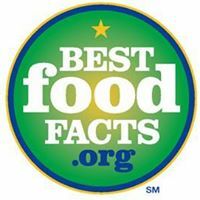 If you have any questions about the food we eat, be sure to check out Best Food Facts for a wealth of great objective information. It’s the 4th of July! My holiday weekend is going to be very low key since I just got back from vacation, but I wanted to do something festive so I didn’t feel like a complete party pooper. So I made these red, white and blue bars this morning in less than an hour. Get in my Independence Day belly! They’re so easy to make y’all. Prepare a box of Krusteaz Raspberry Bar Mix as directed on the package, but right after you spread the raspberry filling over the hot dough…. 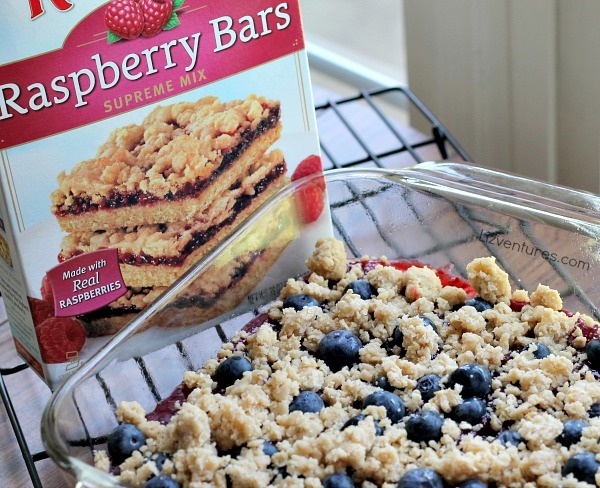 …sprinkle on 1/2 cup of fresh or frozen blueberries. Then add the remaining crumble over the top and bake as directed. 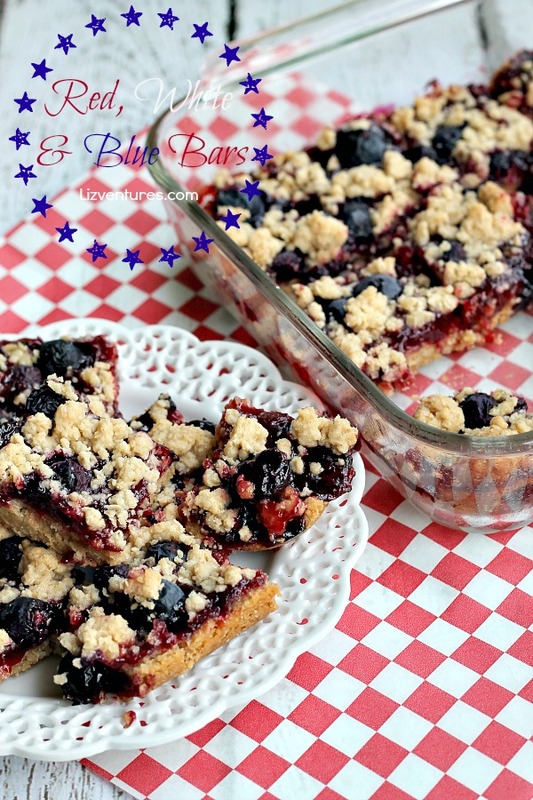 You’ll end up with red, white and blue bars that make a perfectly delicious patriotic dessert! Heat oven to 350 degrees. Lightly grease 8x8x2-inch baking pan. 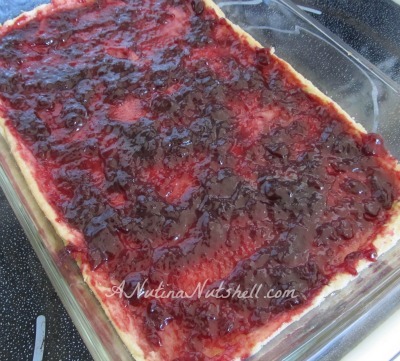 Spread raspberry filling evenly over hot crust. 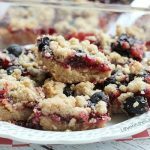 Sprinkle 1/2 cup blueberries over raspberry filling.Crumble remaining crust mixture over blueberries. 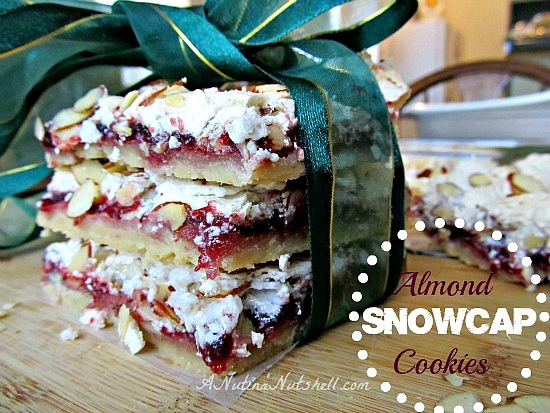 With the 100-year anniversary of Diamond of California Nuts at hand, I began a search through my recipe box for one of my favorite treasured family recipes: Almond Snowcap Cookies. 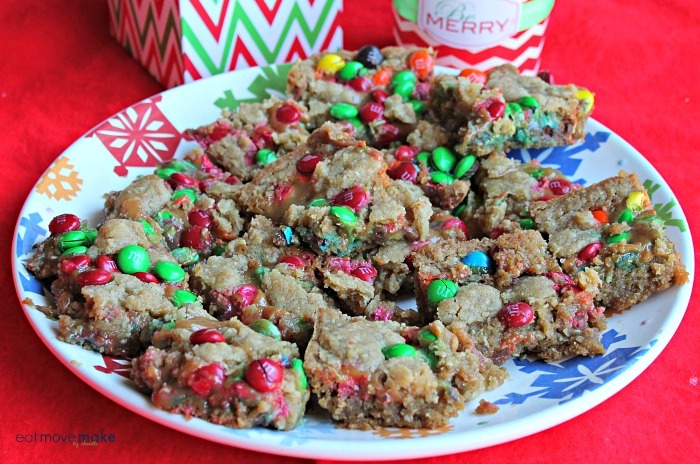 My mom baked them as part of our holiday cookie tradition when I was a child. I’m not sure if you’re like me about nuts. (It’s kinda my specialty seeing as how I am one.) But when it comes to baking, I only use premium nuts because the freshness and quality do make a difference in the taste. That’s why I trusted this recipe to Diamond Nuts. 1. Heat oven to 350 degrees. Cream together shortening, butter and powdered sugar. Blend in flour. Press evenly in bottom of ungreased 13 x 9 x 2-in pan. Bake 12 to 15 minutes. 2. 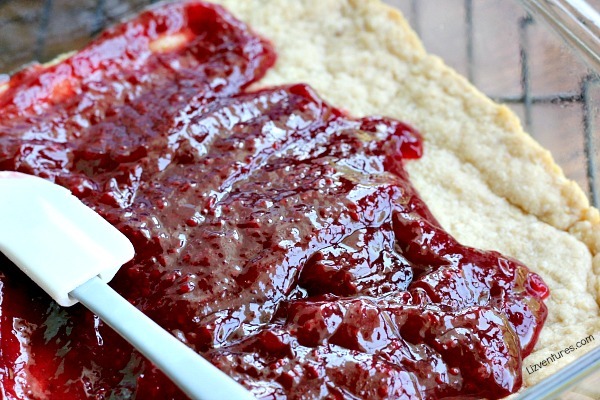 Spread jam over hot layer. 3. Beat egg whites until foamy. Beat in granulated sugar, 1 tbsp at a time, and continue beating until stiff and glossy. (Do not under beat.) 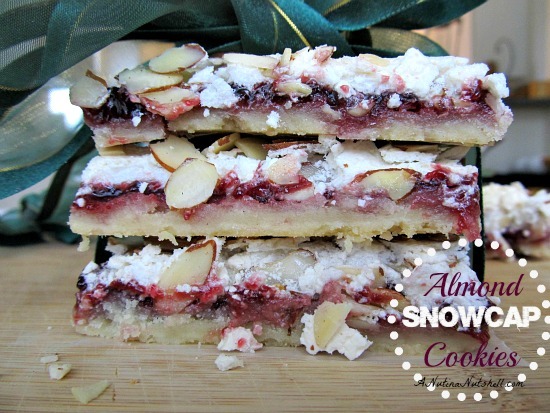 Fold in coconut and 1/2 cup almonds; spread over jam. 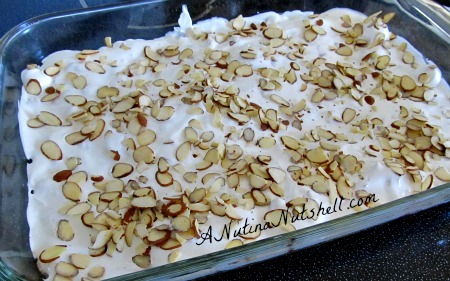 Sprinkle remaining almonds on top. Bake 20 minutes. 4. Cool. Cut in squares; store in airtight container. 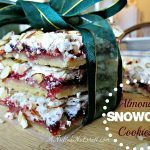 The Almond Snowcap Cookie recipe comes from my mom, but if you love baking with nuts for the holidays, you should take a peek through the Diamond of California classic family recipes for even more ideas. 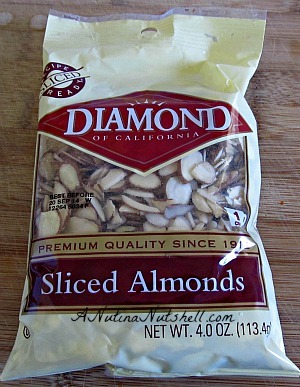 Partnered post with Diamond of California Nuts. Recipe and opinions are my own.